The experience of going to the NCAA Tournament in the pep band is tremendous. It is a trip that you'll remember for your whole life. Especially when you go head to head in a dance off that is OUT. OF. CONTROL! 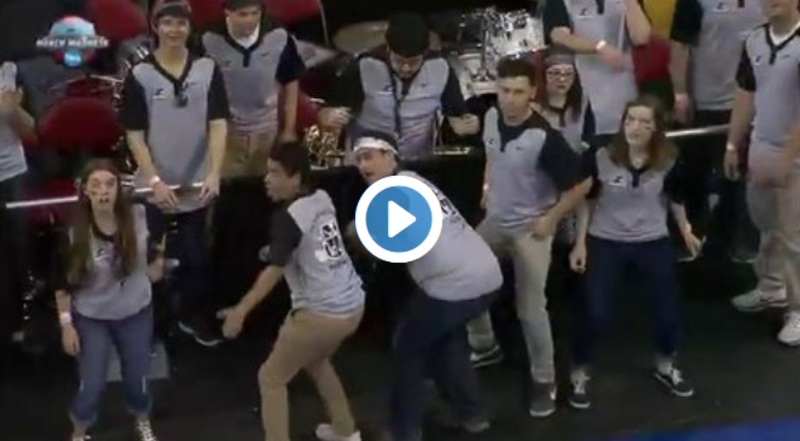 The UNC and Providence pep bands put down their instruments and showed off the moves during their second round game yesterday and it was amazing. Take a watch. Well done band members. Well done.